The man behind Hublot is Italian Carlo Crocco. Crocco actually created the very first natural rubber watch strap. 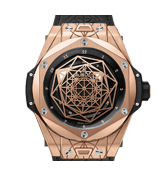 Given Hublot’s success today, it was worth the 3 years it took him to create it. Carlo left a Breil watchmaking company to start his own watch company in 1976. 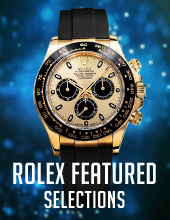 It did not sell when he debuted it at the Basel Watch Fair in 1980, but with more than $2 million in sales in the first year overall,we don’t think it did bad at all. 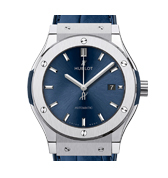 Hublot’s most popular models now include the Big Bang and the Classic Fusion. 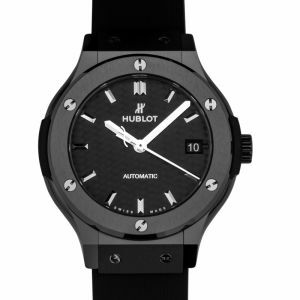 Our Hublot Watches for sale include a variety of styles for Men & Women. Another big name in the Swiss luxury watchmaking world is Hublot. 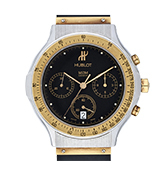 Hublot watches was founded by an Italian man named Carlo Crocco in 1980. Before Crocco founded Hublot, he was with Binda Group in Italy but left so that he could start his dreams of his very own watch company. Crocco actually created the very first natural rubber strap ever. Did he create it overnight? Absolutely not. Making the rubber strap took about three years of research in itself. The innovation and process behind manufacturing the watches is something that Hublot takes very seriously. Respecting the beauty and art of watchmaking, Hublot has their own in-house movements, record power reserves and red ceramic, which is something they got patented to make bright-colored ceramics. They start their watchmaking process by sketching out an idea of what they want to build and create. It’s drawn out detail by detail so that the aesthetics of Hublot watches are seen and known. After they move on to the movement of the watch, depending on the concept that it was originally thought from. Lastly, they move on to create the prototype version. It’s an actual working watch at that point, but it’s very early in the stages of it. With more than 80 boutiques across the world, it was not until 2007 when Hublot opened their first mono-brand store in Paris, France. You can find Hublot watches for sale at their flagship store in London. 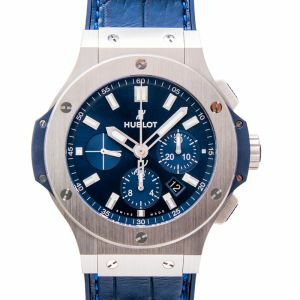 However, if you are not in London you can find a great selection of Hublot watches for women and men at WatchShopping.com! Luxury goods group LVMH bought Hublot out from Crocco in 2008. The following year, Hublot debuted their new method of finding out if a [Hublot] watch was fake or not. They debuted their smart card method at BaselWorld. Hublot watches as a brand has had sponsorships and deals with a few soccer teams. For example, in 2008 they had a deal with Manchester United as well endorsement deals with some clubs including Paris Saint-Germain and Ajax Amsterdam. Hublot watches have become the official timekeeper of the FIFA World Cup many times, including 2018’s latest World Cup. 2018 was the third time in a row that Hublot got the pleasure of being the official timekeeper. 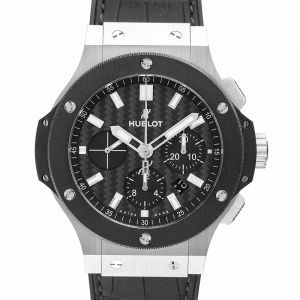 Hublot’s Big Bang watches were made in special editions for referees as well. Their watches first were worn by the referees who were on the field during the FIFA 2018 World Cup. Hublot for Men offers a variety of the Bing Bang watch styles for soccer enthusiasts to reminisce on their favorite game. 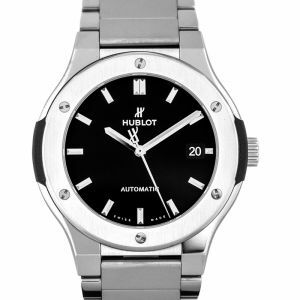 These watches are not only for men – there are also many popular women’s Hublot options. A perfect combination between traditional and cutting-edge, their watches are made with precision and the most intricate details. Watchmaking at Hublot is truly an art. Their in-house manufacturers have made movements that are hand-assembled from more than 300 pieces. Not only are they classic watches, they are also high-tech wrist pieces. Every single piece and watch that comes from Hublot is handled with care and love. Hublot holds very high standards for every one of their products that come out of their house. 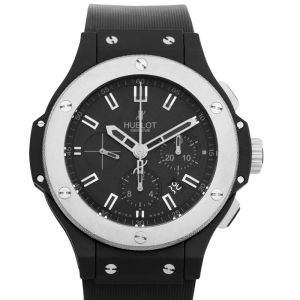 Some of the most popular Hublot watch models for men include the Hublot Big Bang and Hublot Classic Fusion. Hublot for Women includes their top watch collections and featured brands which offer a variety of styles to choose from. Hublot watches have had a close relationship with cars and even made a tribute watch to match a Ferrari. The watch was called MP-05 LaFerrari, with sapphire crystals that was influenced by the car’s outline. Their watch cases are one of their iconic looks. They have “H-screws” in their cases that to always show who they are as a brand. Like most major watch companies, Hublot has a handful of well known partnerships and endorsement deals. Some of the more recognizable partnerships would be with the fastest man of all time, Usain Bolt, professional basketball player Dwyane Wade and one of the best boxers of all time, Floyd “Money” Mayweather. Outside of deals with individual professionals, Hublot has a Big Bang collection with Ferrari too. 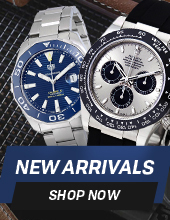 You can buy authentic Hublot watches for sale right here on Watchshopping.com! You can’t really talk about Hublot watches without bringing up their successful Big Bang and Classic Fusion collections. The Swiss watch company stands behind how they represent the Art of Fusion when it comes to their unique watches, and we think that really shows. The Big Bang and Classic Fusion collections offers luxurious timepieces for both men and women.